Download MIDI and MP3 backing tracks of the fabulous 1960's with free lyrics. Find the greatest backing tracks of the 60's era with hits from the USA, UK and Australia. This genre includes all the rock, pop, ballads and psychedelic hits that made the 1960's the bedrock of modern rock and pop music. Many Hit Trax MIDI Files include embedded (scrolling) lyrics, melody lines and MP3 mix. Some titles include minus guitars and bass/drums MP3 mixes. 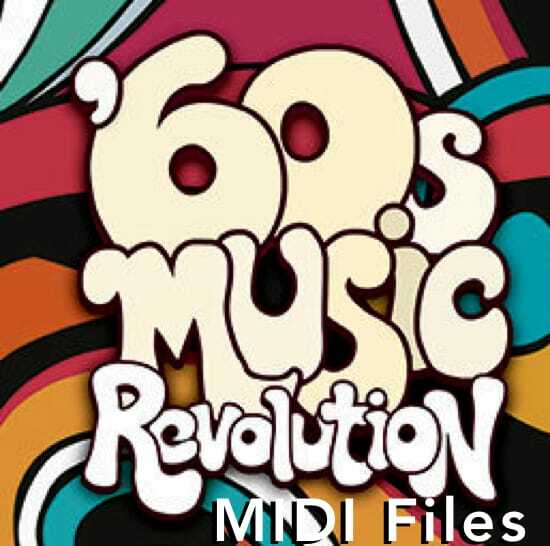 Download the best of the 60's MIDI and MP3 backing tracks right here at Hit Trax.